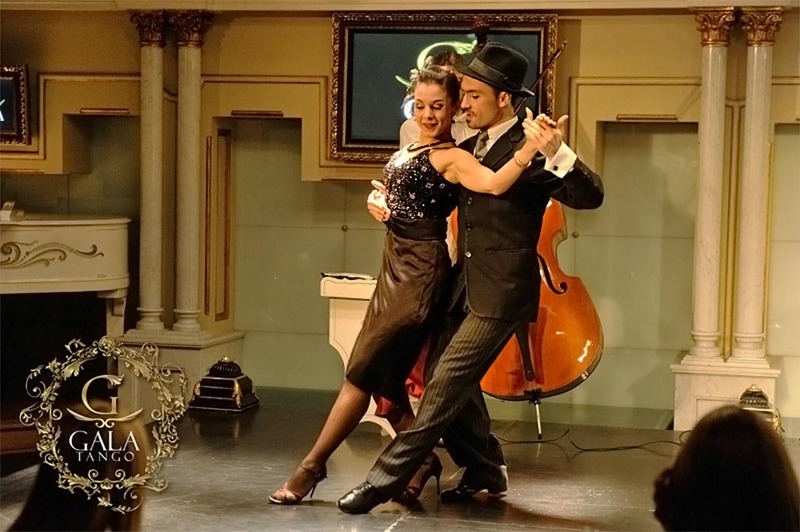 This is one of the most exclusive Tango shows in Buenos Aires, and has been enjoyed by great artists from around the world the likes of Madonna, Sting and Andrea Bocelli. The show also includes a brief but exciting display of some of the unique features of Argentine folklore. 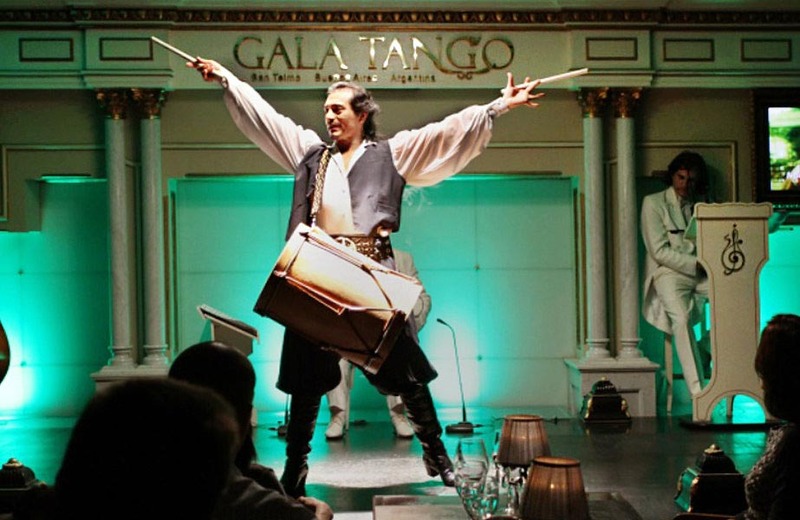 Located on a small cobblestone street in the historic neighborhood of San Telmo, Gala Tango is beautifully decorated with French style architecture reminiscent of the 1930s. 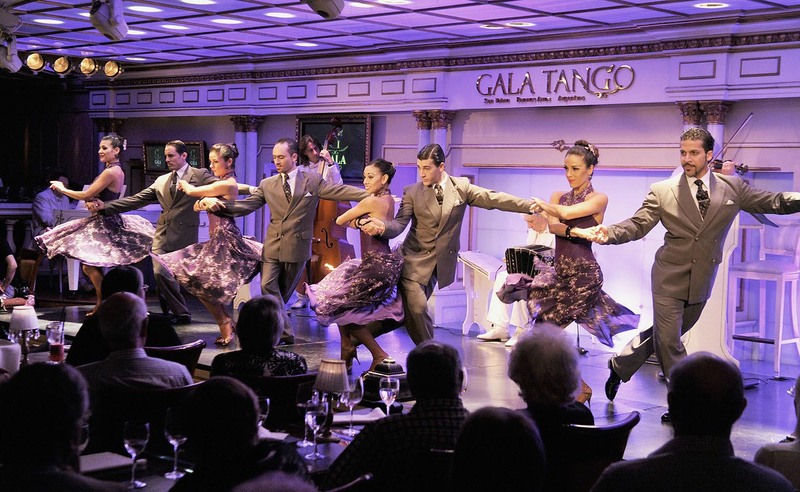 The building’s high ceilings and crystal chandeliers will make you feel as though you have traveled back in time to the “Golden Age of Tango,” while the small size of the theatre allows for a more exclusive experience than that of a regular tango shows. Tango is a universe onto itself as it creates a multi-layered marriage of music, dance, singing and poetry. When it was born, it was radically different from any dance that had come before it, largely because it introduced the concept of improvisation. 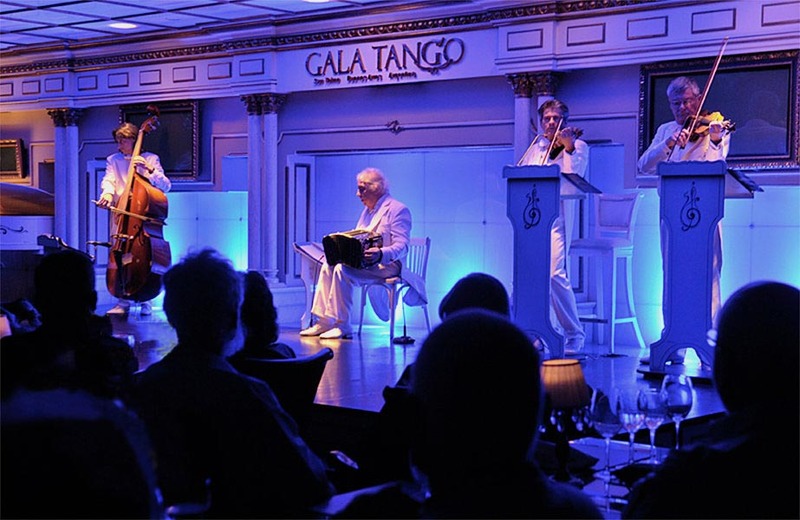 At Gala Tango you will enjoy seeing world-class singers, musicians, and dancers (some winners of Tango World Championships were dancers of Gala Tango!) and for those interested in learning a few Tango moves, there’s even a Tango teacher before the show with whom you can try some basic steps. You’ll be treated to the sounds of traditional Tango and folkloric instruments, courtesy of the show’s outstanding musicians. One of the highlights is Rodolfo Ruiz playing his “charango” (a folkloric string instrument made from an armadillo shell). Mr. Ruiz is so talented that he has even played for the Pope at the Vatican! You’ll also hear the sounds of an instrument central to any tango orchestra: the bandoneón, which is renowned for the beauty of its sound, and for its remarkable and expressive range and flexibility. 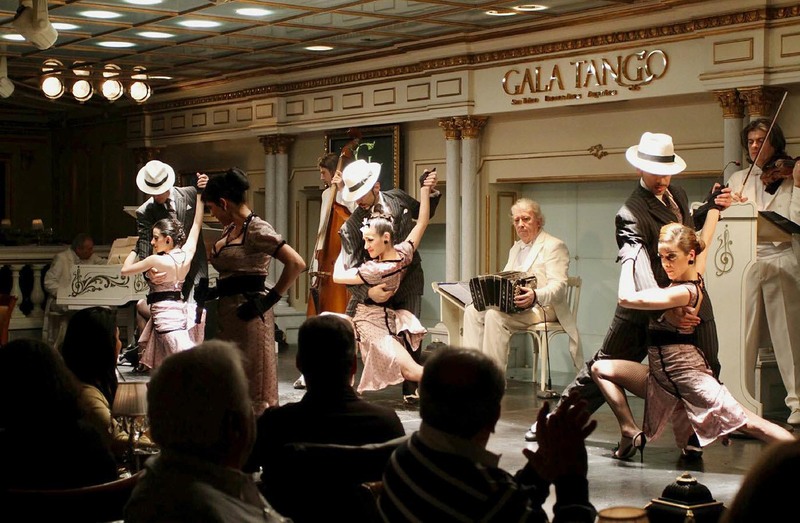 As the curtain falls on our evening of tango and folklore, we’ll make our way back to our hotel, filled with images of dancers, and melodies of this of this autochthonous Argentine music. Duration: the show lasts approximately 1 hour and 45 minutes (of which around 20 minutes is the folklore show). Vehicle: private vehicle. The pickup time is usually around 7:45 PM, and return time after dinner and the show is usually around midnight. Includes: dinner with non-alcoholic beverages & wine.